The big pass sale may be over but be sure to save and ski the rest of this season and next if you purchase your pass now. If you don’t have a pass already this season, you can upgrade your purchased lift ticket to a season pass and just pay the difference, it’s that simple. Purchase your pass for the next season online or in person and ski or ride everyday beginning today through the end of this season and then even more bonus days in the early and late season next year. Click here to find out exactly how much skiing and riding you get with the pass you purchase. New pass holders will be given a lift ticket good through the end of the 2018-19 season. 2019-20 pass pictures will be taken and passes for next season will be made during our regular business hours beginning November 12, 2019. You know, if you head to the mountain on a regular basis, a season pass is the only way to go. Plus, you never have to wait in line to get your lift ticket. Download and fill out your Season Pass Waiver here. 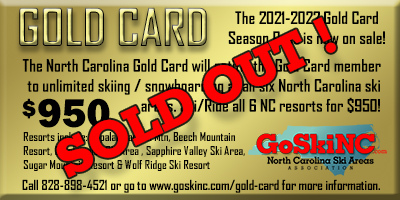 Print, fill out and turn in when you pick your lift ticket or pass up at Cataloochee, it’s that simple! Not Quite Ready To Purchase Your Pass? You can upgrade your lift ticket at the end of any skiing day to a season pass and take your lift ticket price off your pass price. Pass must be purchased on the day of lift ticket purchase. *Immediate family members only. You may only purchase Additional Family Limited or Unlimited Passes in conjunction with the Family Limited or Unlimited Pass. **Not good on Saturdays from 8:30am – 6:00pm. Cataloochee offers seasonal ski and snowboard package rentals for both adults and children with orders taken in the spring of each year for the following season. The best part is if your kids outgrow our boots DURING the season, we can move your child up to a larger size boot at no additional fee. Seasonal rental orders must be placed no later than May 1, and will not be taken after that date. All equipment is prepared to go and can be picked up after November 1, 2019. A credit card deposit is required and will be charged at pickup for each set of equipment. Each deposit will be returned when equipment is returned each spring. Limited season lockers are also available for rent with the purchase of a season pass. Call 828-926-0285 for more information.